Owner History: Joseph Weisberg, Dixie DriveIn Theatre Corp. 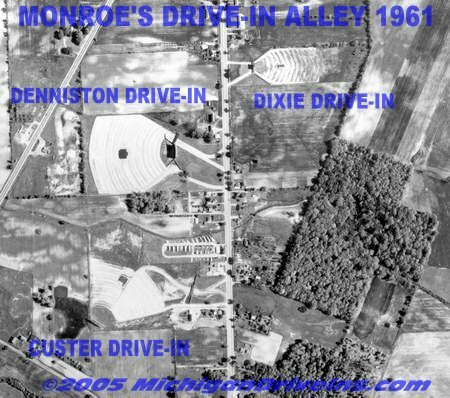 There was a question as to the location of the Dixie Drive In, Monroe, Mi It was on the East side om N. Monroe St. and was in no way as modern as the other drive in theaters in Monroe. It was small and the screen was like watching an early tv set. Your maps clearly show where it was located. I don't see the problem. I hope this helps. Vince. 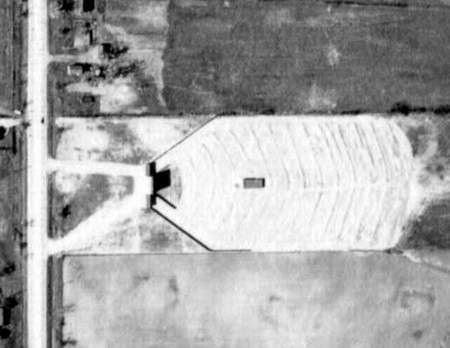 According to a 1981 aerial, there was no trace of this drive-in even then. This drive in was located where the current Old Towne Sport facility is. The owner of Old Towne, Tom Everett, told me that the wires from the sound system are still in the ground (under the driving range). The Dixie DIT in Monroe has a name change as well. The Dixie opened on June 4, 1948 and operated until June 16, 1965. 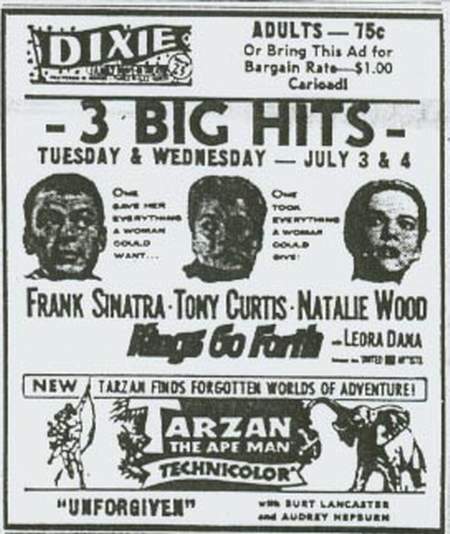 On June 17, 1965 the Dixie became the Star-Lite DIT and specialized in showing films for Adults Only. The format change must not have worked because the Star-Lite closed on September 28, 1966 and apparently never re-opened. The last ad appears in the September 26th Monroe newspaper. The Dixie Drive-In Theater remains an unsolved mystery. 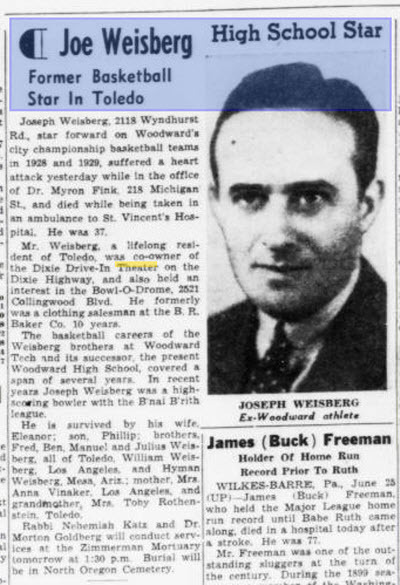 Its existence has been proven with the 1962 newspaper ad (below), but the actual location is still unknown. The directions in the ad would put it right in the vicinity of the Denniston, and Custer Drive-Ins on M-25 (Monroe Rd), possibly on the east side of the road. 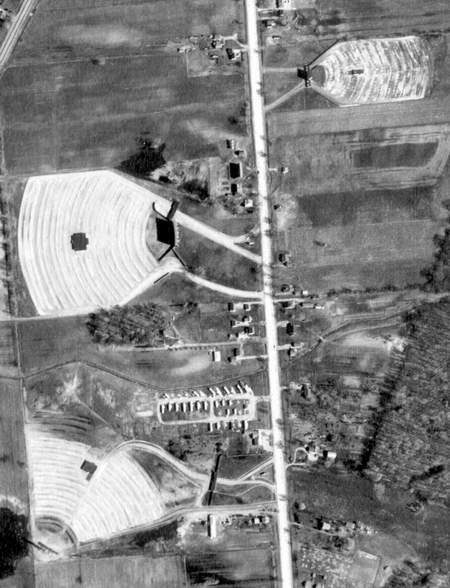 The Terra-Server image gives no clues to its location, nor did a recent search along Monroe Rd. The odds of three drive-in theaters operating head-to-head, within a few hundred feet of each other is unlikely, but that does seem to be the case here. It most likely closed in the late 1960s, and all remnants of its existence have long since been wiped away. Any longtime Monroe residents remember the location of this one?. 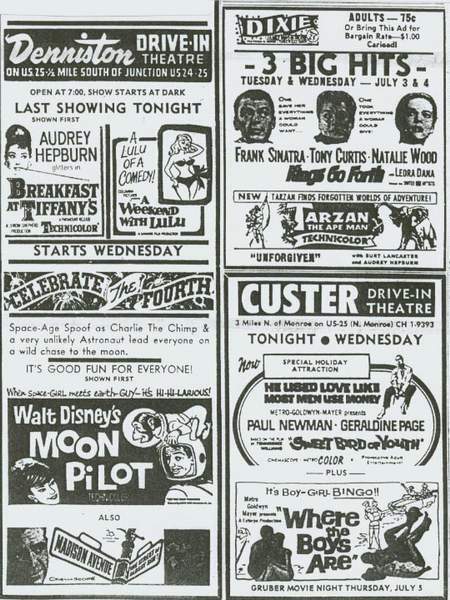 Newspaper Ad: Dixie Family Drive-In Theater - Preferred in Monroe - Three Miles North - Route 25 (7-3-62).